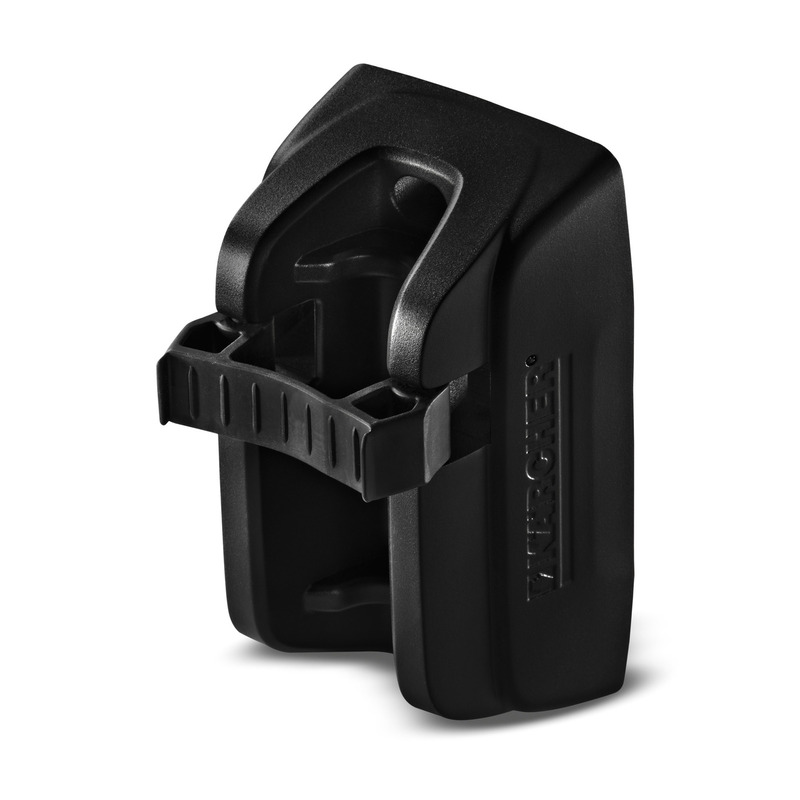 Wall bracket 26451820 https://www.kaercher.com/ee/home-garden/kastmissuesteemid/otsikud-ja-pihustustorud/wall-bracket-26451820.html Practical wall bracket for the secure and clean storage of spray lances as well as use as a garden shower. Practical wall bracket for the secure and clean storage of spray lances as well as use as a garden shower. 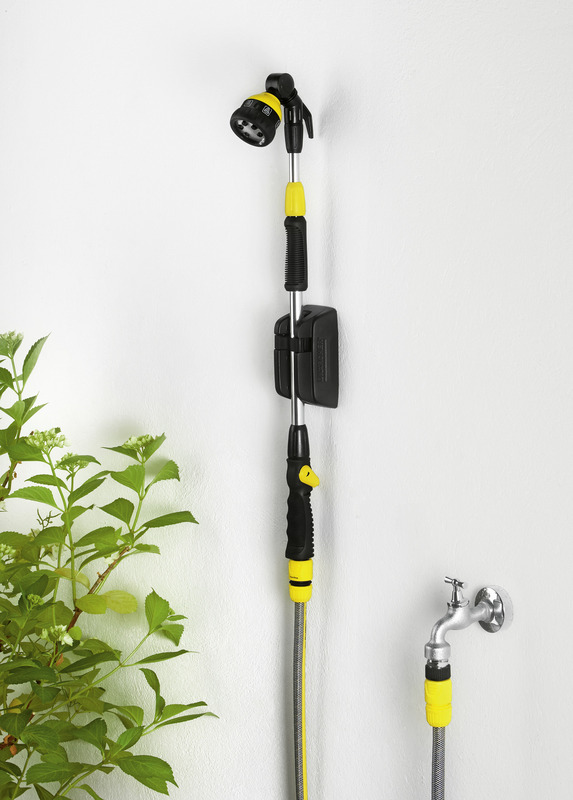 The spray lances can be perfectly attached to the compact wall bracket, which is ideal for use as a garden shower. 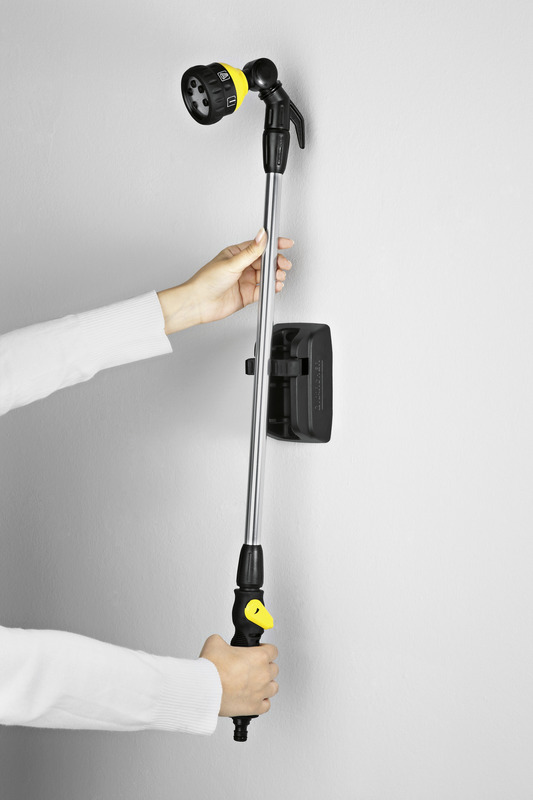 The wall bracket is also ideal for the clean and secure storage of spray lances and pipes on inner walls. The wall bracket is for pipes with diameters of 16 – 20 mm. Anchors and screws are included.